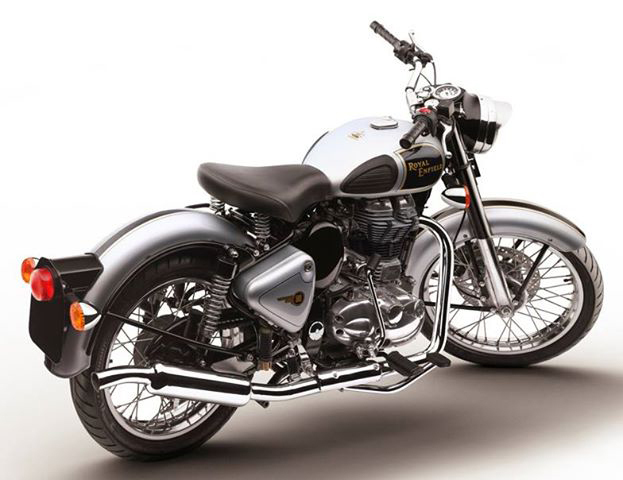 Here's the 2014 Royal Enfield Classic in silver. 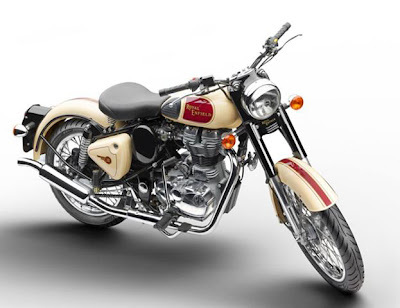 Royal Enfield USA's The Buzz blog is showing photos of new 2014 model colors for the Bullet Classic. They include a tan and silver and a new paint scheme for the black model. 2014 Royal Enfield Classic in tan. "They are starting to come to the U.S. and are available," reports Royal Enfield USA's Facebook page. The pictures have racked up a lot of "Likes" on Facebook. If these pictures are accurate, the distinctive oval air cleaner cover, the forks, casquette and frames will be black across the line instead of body color. This change perhaps eases production but it's still a distinguished look. And, as one curmudgeon once pointed it, it makes touch-up a cinch: black is black, at least from a distance. 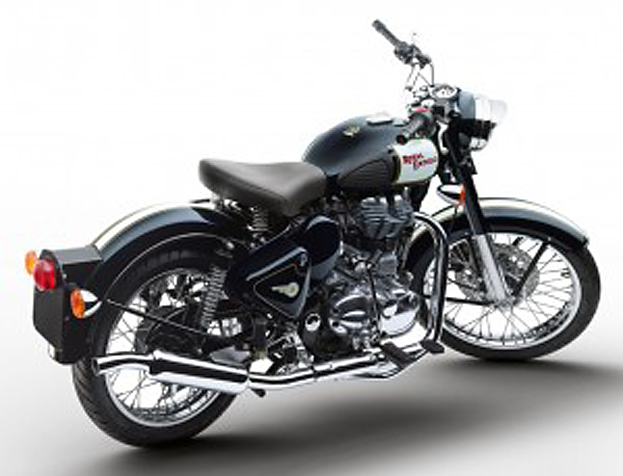 The Royal Enfield USA Facebook also notes that the teal and maroon colors introduced with the first C5s have been discontinued. Both were memorable, classic colors. So, if you want one of those, you'd better go get it. New color scheme for 2014 black.